A week ago today, we at Escentual hosted our very first fragrance event at the dazzling Soho Hotel in London – and what a lovely night it was! 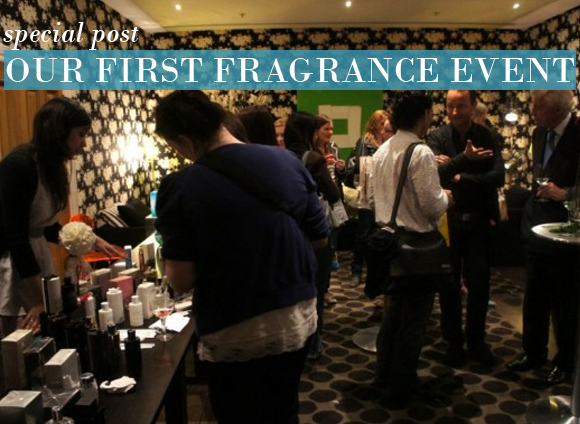 The occasion gave us the chance to showcase some of our more niche and specialist scents to bloggers, journalists, and fragrance aficionados alike. Resident brands included Etat Libre d’Orange, Juliette Had a Gun, Lalique, Costume National, the brand new Elie Saab scent, and all of the latest from Coty. 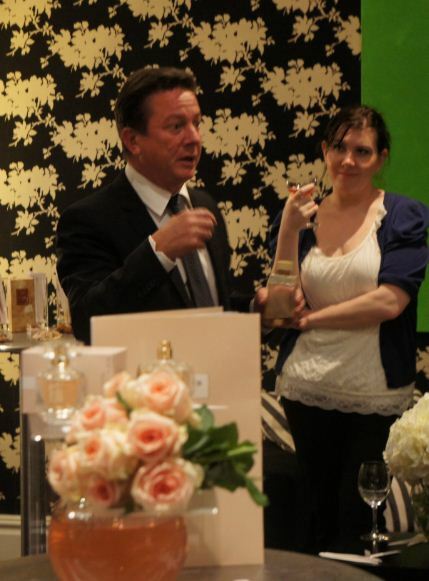 Attendees were able to sample the delights of each fragrance and pick the brains of the experts at hand. I’m sure that everyone in attendance would agree that our guest speakers for the evening were incredibly charismatic! First up was Etienne de Swardt, founder of Etat Libre d’Orange. He regaled us with tales of the formidable Secretions Magnifique (the four S’s!) and brand new scent Archives 69, and gave a little insight into the inspiration behind his fascinating and quirky brand. Then Peter Murray of On the Pulse of Perfumery transported us back in time to his first sensory experience with the historic House of Lubin. His ancient bottle of Lubin fragrance was a fascinating thing to sample; it was so incredibly complex, but not strong at all! A huge thanks goes out to all of our attendees, a lovely bunch of people that included Grant Basenotes, Jane Modesty Brown, Charlotte Lipglossiping, Yinka Vex in the City, Sheenie Just Nice Things, Louise Get Lippie, Dariush Persolaise, Kirsty Beach Tomato, and more. You guys made for a really wonderful evening. This entry was posted on Tuesday, June 7th, 2011 at 2:00 pm and is filed under Fragrance, Special Post. You can follow any responses to this entry through the RSS 2.0 feed. You can skip to the end and leave a response. Pinging is currently not allowed.